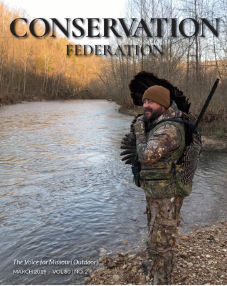 This is where volunteers can sign up to be a petition circulator for the “Native Missouri Wildlife Conservation Amendment.” You are not signing the petition. Petition circulators must be at least 18 years old, and must never have been convicted of, found guilty of, or pled guilty to an offense involving forgery under Missouri law, or an offense under the laws of any other jurisdiction if that offense would be considered forgery under Missouri law. Volunteers are responsible for all of their expenses. You may print your own copies, or get pre-printed copies from CFM at 800-575-2322. Follow the instructions below. PRIVACY STATEMENT: All data collected will be used only for the purpose of necessary communication with volunteers, and for informational updates related to this petition. It will be kept secure, and not sold or otherwise shared with anyone for any purpose other than legitimate support of this initiative petition effort. Blank petitions available to be printed here. All must be on legal size paper and printed double-sided with the full petition language on the back. Ideas list if you are volunteering to be a petition carrier. These items would be helpful while gathering signatures but are not required. If you would like to donate to support this effort, use the link below. Thank you for your support. Calendar of Events – These are suggested public events where signature gathering may be possible. Any volunteer willing to be the “point person” for a particular event should let us know, and we will update the calendar. If there are other signature gathering opportunities you think should be on the calendar, let us know.